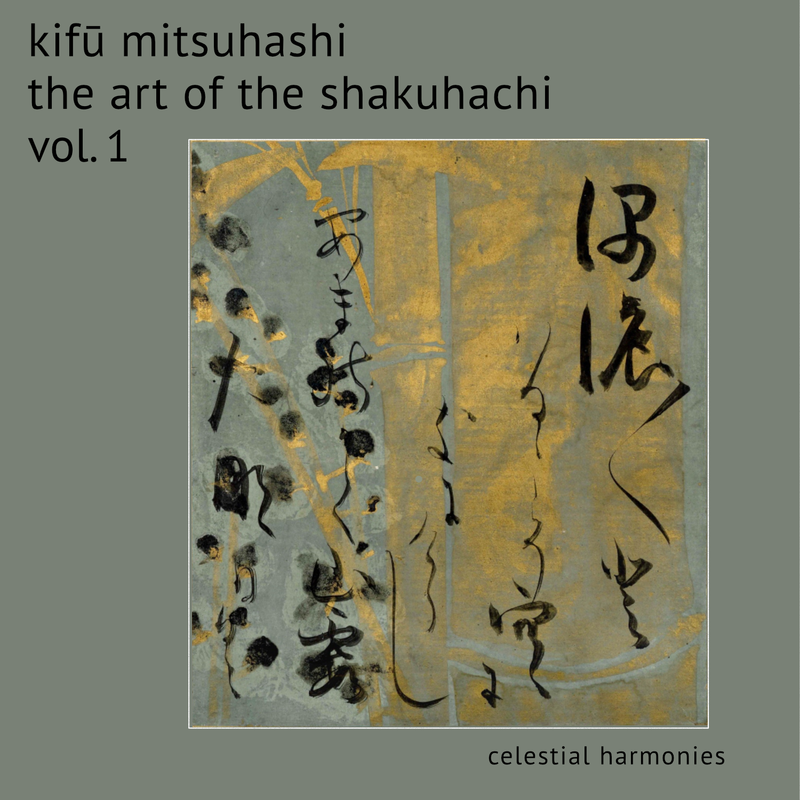 This recording is the first in a series documenting the art of the shakuhachi, performed by one of Japans foremost performers, Kifu Mitsuhashi. The shakuhachi is a bamboo endblown flute with four finger holes in the front and one in the back. Although it is a very unpretentious instrument, a skilled player can produce an astounding number of pitches and a nearly infinite variety of timbres and shadings. The sounds heard in the most traditional shakuhachi music (honkyoku, literally basic or original) are usually not so much melodies in the Western sense of the word as they are a carefully composed series of short motives, phrases, and pitch cells played in a highly flexible rhythm and sometimes separated by long rests. Many varieties of grace notes, portamenti, pitch blending, explosive bursts of air, flutter tonguing, finger tremolos, vibrato and much else charge each pitch or phrase with great intensity and musical meaning. Although the pieces recorded on this CD are all of solo shakuhachi music, the instrument is also frequently featured in ensembles. Early types of shakuhachilike flutes had commonly been played by mendicant priests and monks. Somewhat later, the shakuhachi also became a favorite instrument of the beggarmonks known as komuso. They thought of themselves not as mere musicians or entertainers; instead they regarded their activity as a form of the Zen practice, suizen (blowing meditation). The pieces that they played, the honkyoku, were designed to allow them to achieve Buddhist enlightenment. Among the most important komuso musicians was Kinko Kurosawa (1710-1771). Born into a Kyushu samurai family, he joined the Fuke sect, and in Edo, taught shakuhachi and collected, edited, and notated some thirty Fuke pieces. In addition, he or his son added the important three traditional pieces that even today form the core of the standard Fuke shakuhachi repertory. He also continued to make improvements to the instrument turning it into the modern shakuhachi. His school or style of shakuhachi (the Kinko School) eventually became one of the two major schools of shakuhachi playing in Japan today (the other is the later Tozan school, founded by Tozan Nakao, 1876-1956). Born in Tokyo in 1950, Kifu Mitsuhashi studied Kinkoschool shakuhachi with Sofu Sasaki and the classical honkyoku repertoire of the Fuke school with Chikugai Okamoto. He was awarded the Prize for Excellence by the Agency for Cultural Affairs for his first recital (1980) and the Arts Festival Prize by the same agency for his 1989 solo recital. He was awarded the Osaka Cultural Festival Prize in 1981, the 10th Nakajima Kenzo Music Prize in 1992, the Arts Festival Works Prize for his CD of works by Makoto Moroi, Chikurin Kitan, and the Yokohama Cultural Encouragement Award. He traveled to Europe as a soloist with the Tokyo Philharmonia in 1994, gaining high acclaim for performances in venues such as the London Festival Hall. He has also become active as a producer, organising events at the Serbia Expo and Festival Asia. He has given 77 recitals to date overseas, and twenty in Tokyo alone. He holds the qualification of shihan (master) in the Kinko school, and runs his own group for shakuhachi performance, the Kifu Kai. 4 tsuru no sugomori 21'48"
7 muju shin kyoku 11'42"